Fights dandruff and prevents flaking on scalp. 1. 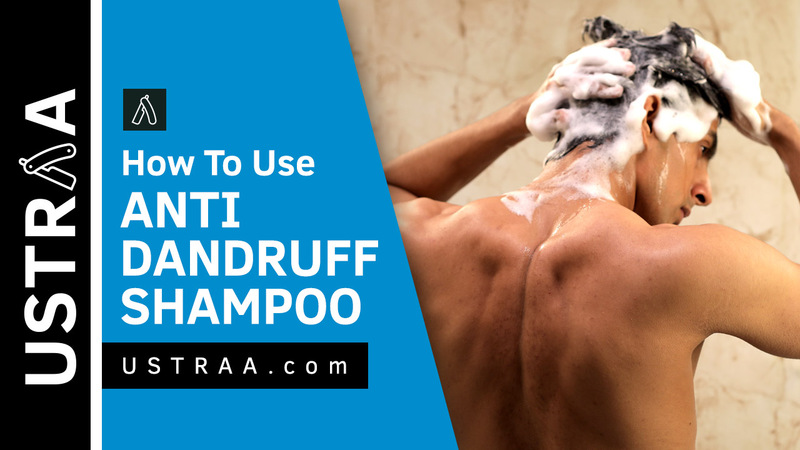 Help prevent dandruff due to their anti-bacterial, anti-fungal properties. 2. Prevent dryness and flakiness on the scalp. 3. 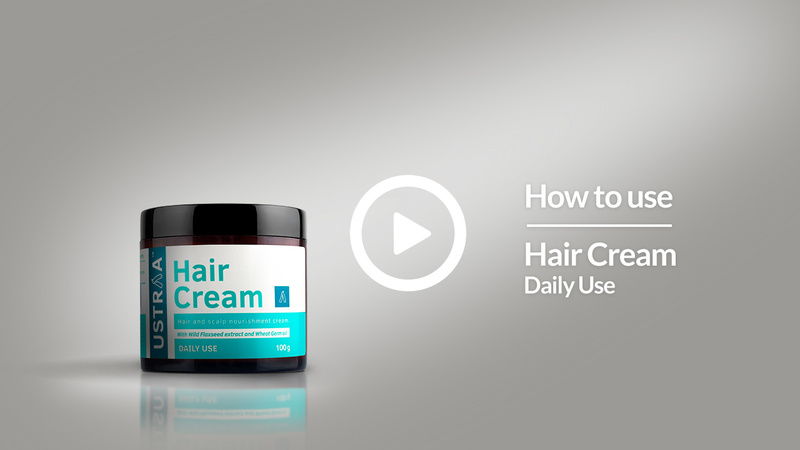 Remove dead skin and unclog pores, thus promoting an environment for hair growth. 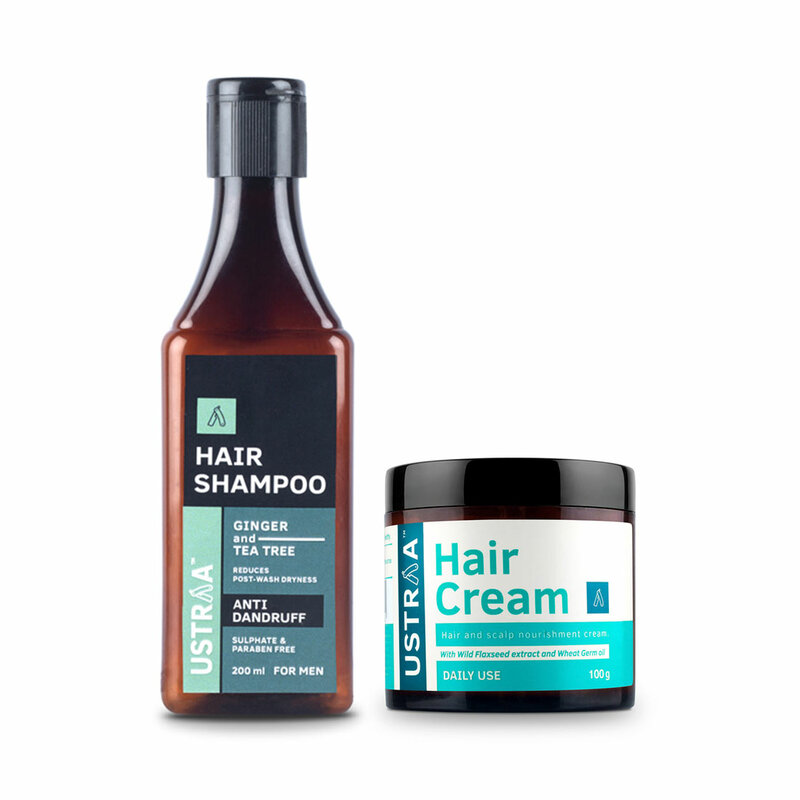 Ginger has natural antiseptic properties & balances the scalp pH, thus taking care of dandruff. Tea Tree removes dead skin and unclogs the pores on the scalp, which means tea tree oil can work to clear and strengthen the skin on the scalp, helping to prevent infections or conditions such as dandruff. 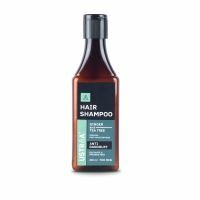 Packed with Wild Flax Seed Extracts, Olive Oil, Almond Oil, and Wheat Germ Oil that give your hair everything it needs. All the nourishment of oil without the stickiness. 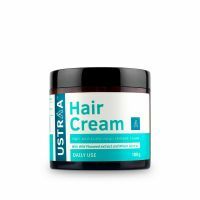 With the benefits of Almond, Wheatgerm, Olive and Wild Flaxseeds this hair cream is a replacement of oil and can be used all day, without having to worry about looking like a champu. This product is completely alcohol, paraben and sulphate free.